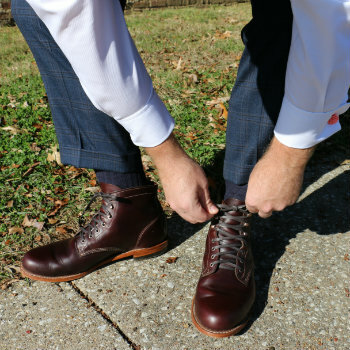 When you’re looking to truly invest in premium and high quality dress boots for men, you want to make sure that you spend wisely. $500 is a lot of money so it’s important to find the right pair and be able to buy them in confidence. If you want to read more about a particular list boot, you can use the links above to jump ahead. If you want to know what you can expect from $500 boots, we’ll also explore the features and construction types typically associated with this price point. Want to see what the retailers have to say directly? Use the Quick Buy Guide below to head straight to the official sites! Otherwise, learn more about the boots from our perspective by scrolling down. Want More Bespoke Unit Boot Guides? What Are The Best Men’s Dress Boots Under $500? Among one of our favourite boots by Allen Edmonds are the Sullivan Street. Combining smooth full-grain calfskin with pebbled leather, they have created a versatile and stylish boot. 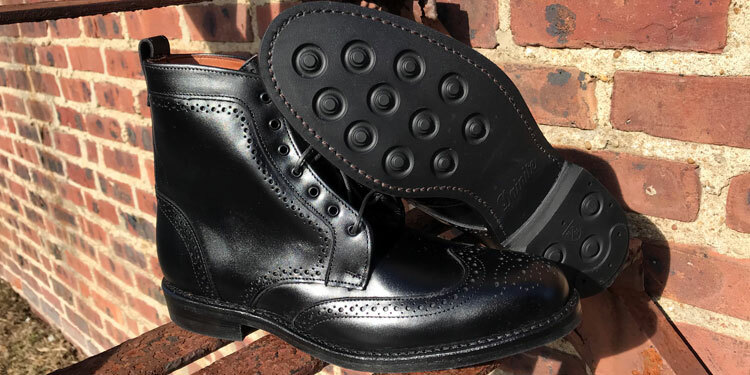 They also feature Allen Edmonds’ excellent Goodyear welt and Dainite rubber soles. Thanks to the balmoral cap toe and smooth calfskin, these boots can be worn quite formally with a business suit. However, the pebbled leather also adds a casual element so they can be worn when dressing down in more laid-back settings. Whilst the boots also come in a stunning brown, the black is more effective given the balmoral toe cap. This makes them more versatile and easier to wear with a variety of wardrobe options. Another firm favourite from Allen Edmonds, these classic wingtip style boots are even more impressive in real life. 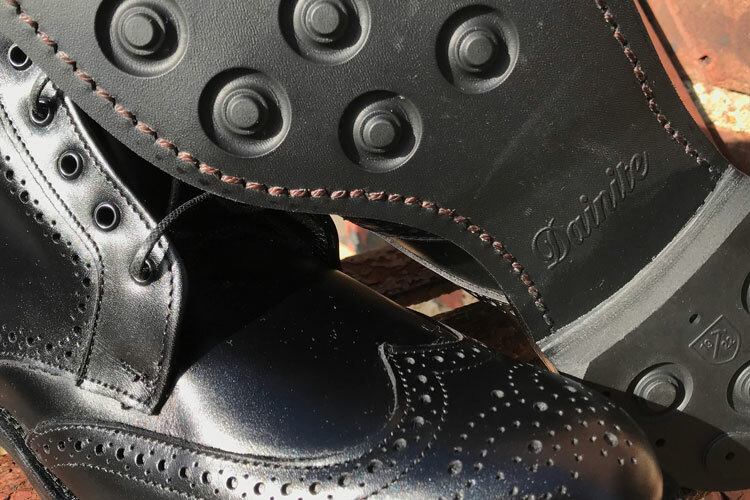 The brogue ornamentation really drive these home whilst the Goodyear welt offers durability and the Daintie soles give both comfort and traction. Wearable with virtually any dress code, these boots look fantastic with both a suit or in jeans. We were impressed by their level of versatility and find that they suit many different dress codes from business casual all the way up to cocktail attire. If you want the boots with Dainite soles, you can choose between either black or brown. However, they’re sold at the same price with leather soles. In this instance, they’re available in a whole hue of colours including Oxblood, burgundy and tan. However, we love the black boots given the versatility it offers. 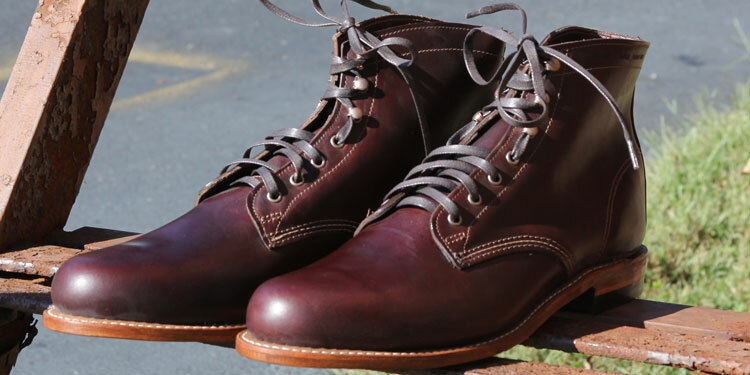 The original 1000-Mile boot by Wolverine is an absolutely stunning specimen. With a goodyear welt and premium leather sourced from the Chicago Horween Leather Company, these are beautiful and very comfortable boots. We really enjoy the versatility offered by these boots. A touch more rugged than those by Allen Edmonds above, they lean more towards casual wear. However, they’re still perfectly wearable with a business suit as long as you have the style to go with it. For dressier wear, there’s a black option. However, there’s also rust tan, brown and Cordovan No.8. Our favourite is the latter, which offers a beautiful burgundy hue. Featuring sturdy Dainite soles and a premium Goodyear welt, these Chelsea boots offer some that’s a little bit special compared to others on the market. A style that was popularised by the Beatles, they’ve updated them for a contemporary look. Chelsea boots are well-known for being wonderfully versatile and wearable in a variety of circumstances. We’re quite fond of wearing these professionally with either a suit or at least a shirt and sport jacket. However, they can also be worn casually without much issue. You can choose between either black or brown calfskin. We would have a preference for the brown as this is going to be easier to wear across different dress codes. However, you can always sport them in black for a more formal style that can be paired with cocktail attire. Although Chukka boots are usually regarded as more affordable footwear, these stunning specimens offer an extra level of quality. From a Goodyear welt construction to pressed full-grain Italian leather, they’re excellent boots. The final chosen colour will have a great impact on the shoe’s level of formality. However, thanks to a toe cap, there’s a touch of formality that allows them to be worn in dressier circumstances. If wanting to wear these formally with a suit, there’s a black option with a smoother full-grain finish. However, for more casual and business casual wear, you could opt for either the pebbled tan or suede olive leathers. An extension of the legendary guitarist’s eclectic and iconic music, the shoes that sport his namesake exude the same style and quality. These stylish Chelsea boots feature a Goodyear welt and have a stunning Latin spirit with fine broguing and a streamlined shape. Perfect for business casual scenarios, we also find them quite versatile in that they can be dressed up or down according to your tastes. Thanks to their slim and streamlined last, they’re dressy enough for a suit yet the stylish flair makes them great for casual wear too. Available in either black or tan full-grain leather, we have an affinity for the latter. With matching coloured gore panels, they’re very stylish and quite tall too. We find these to be the most versatile and easiest to wear. The black boots are in stock but, the tan boots are currently sold out on the official site. 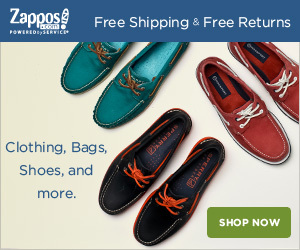 However, you can find them via Zappos for the same price! As you’ll see in our other budget-related dress boot guides, we regularly stress the importance of investing in quality boots. Although you can obtain a decent level of quality with $300, a few hundred extra will grant you unparalleled level of flexibility. Not only will have access to some of the most beautiful and most stylish shoes on the market, but you’ll also benefit from superior construction quality. Even if you’re only concerned with personal style and fashion, shoe quality has many advantages. Not least is the life-span of your footwear. Whilst cheaper shoes are less of a financial burden in the short run, the long-term cost is actually greater. This is because cheaper footwear degrades sooner and rather than being able to replace or renovate certain parts, you’ll have to buy new ones. If you take into account the long-term implications, you’ll actually spend less over the years if you buy expensive shoes from the start! Not convinced? Let’s take a look at the benefits from investing in premium footwear. Even once you’ve surpassed the $200 threshold, you’ll have access to better materials. However, by just added a small percentage to that amount, you’ll be able to buy some of the best leathers available. All leather is graded. Not just the hides themselves but even their individual sections. The sheer level of scrutiny when evaluating leather quality is mind-boggling and it can quickly become confusing. In short, however, the leather used to make the shoe has a direct impact on its final cost. It simply isn’t possible to make cheap shoes with high quality leather. Therefore, to make mid-range shoes, the inferior sections of high-grade hides are used to make them. This means that whilst you’ll get decent quality boots, it may be from parts that required extra treatment to disguise any defects. 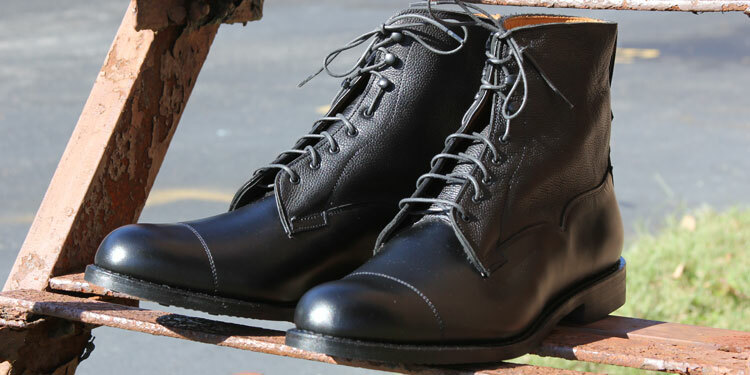 When investing in high-quality dress boots, a $500 budget means that you’ll instantly have access to some of the most premium grades of leather that are free of veins or blemishes. Not only does this have an aesthetic benefit but the high quality leather is usually found nearer the hide’s spine. Here, the fibres are much tighter, which means that the leather is more robust and less prone to damage or losing its shape. When buying dress boots on a $500 budget, you’re effectively guaranteed high-quality shoe construction. At this price point, shoes and boots are almost exclusively constructed using welting rather than basic stitching. Overall, there are three ways to construct a shoe. One is cementing, which involves joining the sole and shoe together via adhesive and another is stitching. Whilst cementing is cheap and tends not to last, Blake stitching offers reasonable longevity and the shoes can be resoled a few times before they’re too far gone. However, the third method is known as welting. One of the best and most popular ones is called the Goodyear welt. Rather than just using a single stitch to join the sole with the uppers and insole, there are several stitches involved. This makes the process much more time-consuming and expensive. However, it means that the sole can be easily replaced and recrafted. As such, the boot has a considerably longer life-span and can be recrafted countless times. Furthermore, the extra number of stitches improves the shoe’s water resistance and renders them much more practical. 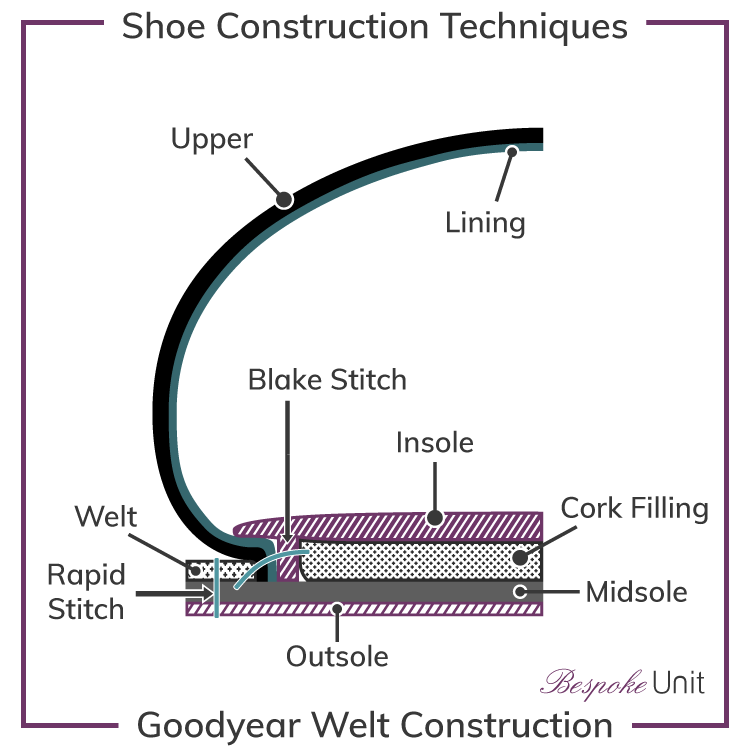 You can learn more about these different techniques with our shoe construction guide. In all fairness, there isn’t a huge leap in sole quality between $300 and $500 dress boots. When you’re around these price points, the quality tends to be very reliable. However, there are still some benefits to investing in the more expensive price range. Since soles tend to be something of an afterthought (after all, you can’t see them), $300 boots will tend to have reliable soles. Yet, a $500 tends to give you access to exceptional soles. This is because the higher budget provides manufacturers with the flexibility to get creative in their designs. For instance, Allen Edmonds will include exceptional soles such as those made by Dainite. These are very eye-catching and hard-wearing soles made in the United Kingdom by a heritage firm. Meanwhile, CARLOS by Carlos Santana soles feature elegant guitar designs and ornamentation on the soles, which would be too expensive to consider on lower price points. Whilst $300 boots will begin to feature handcrafted components, sub $500 shoes will rely much more on skilled artisans to make their footwear. This extra footwear means that fewer machines are required to reduce costs. As such, you’ll find that the shoes have much more soul as they’re made by passionate manufacturers in workshops rather than factories. 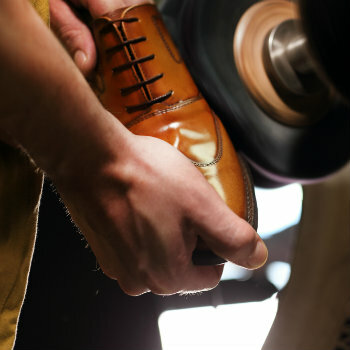 Furthermore, premium shoes tend to be made in places closer to home. For instance, Allen Edmonds is one of the last bastions in American handmade shoes and many of their models are made in Wisconsin. 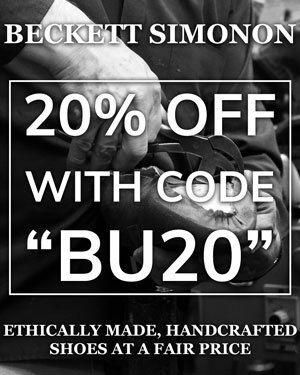 Alternatively, other brands will still import their shoes but they are still handmade in European countries steeped with craftsmanship heritage. Meanwhile, cheaper brands are obliged to make their footwear overseas and tend not to be very transparent about where or how they are made. By investing more in the right brand, you benefit from a peace of mind that you’re supporting a real craft. Are $500 Boots Worth It? If buying wisely, $500 dress boots will offer you some of the best footwear that you’ll ever own. They may last you decades with the right care and you’ll never look back on your purchase. Your boots will not only offer better comfort and quality but will age slowly with a little care. If you’re a Terry Pratchett fan, you may have read Men At Arms where the book’s protagonist, Samuel Vimes, will muse on boot economics. In this passage, he argues that a poorer man can afford $10 on boots that will last a year before falling apart and having to be replaced. Meanwhile, a rich man will be able to spend $50 to buy expensive boots that will easily last 10 years. In the long term, it’s actually the rich man that saves money whilst the poorer man has to spend double over the same period of time… And still have wet feet! Although exaggerated for dramatic effect (and set in a fantasy world where inflation is low), the principle is actually very close to reality. However, despite being entitled the Theory of Socioeconomic Unfairness, it’s actually becoming increasingly possible to be able to save and a have access to higher quality footwear. Of course, this isn’t the rule for every $500 boots. There are some prestigious manufacturers that rely heavily on branding and fashion. Rather than paying for quality, you end up paying for the logo. One thing that we mentioned earlier was the flexibility that you’ll enjoy when shopping on a $500 budget. However, you may have noticed that several of the featured shoes aren’t much over $300. Therefore, if you came here from our guide to the best $300 dress boots, you’ll realise that it doesn’t take much to be able to access the higher price point. Reviewed by Owen R., on 19th September . "Real quality boots. A great selection of some of the finest specimens."